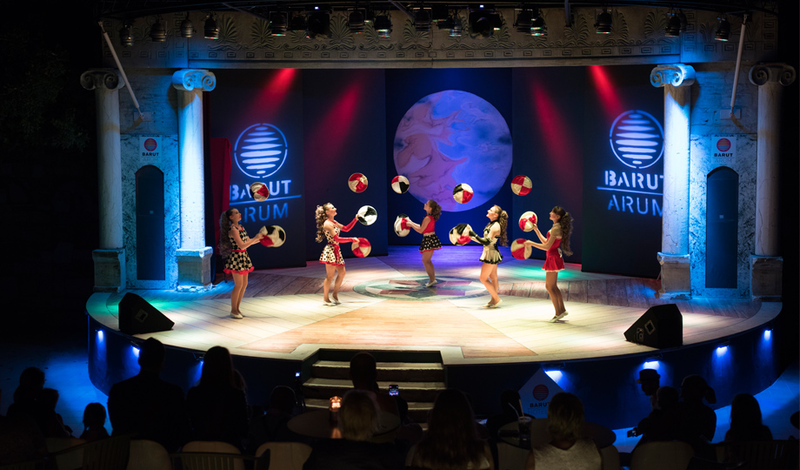 Barut Arum provides an unforgettable holiday for our valuable guests, offering our traditional service understanding, maximum quality principle and constantly evolving vision. Barut Arum, situated in Antalya’s most beautiful location, presents a unique accommodation experience throughout all four seasons of the year, with excellent service quality and facilities in perfect harmony with the nature embracing the vast blue of Side.Antalya, where you can enjoy the sun approximately 280 days a year, has an average temperature that reaches 20 °C even in the winter months. The average temperature of the sea around Antalya in winter is around 18-19 °C. You’ll share delightful moments with your loved ones at Arum. Activities for children of all ages and adults await you. 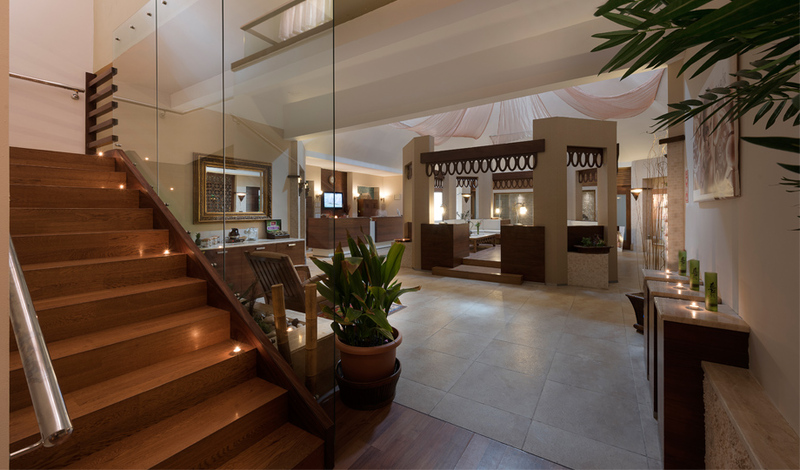 Just enjoy fun, tranquillity – and your holiday!.You’ll share delightful moments with your loved ones at Arum. Activities for children of all ages and adults await you. Just enjoy fun, tranquillity – and your holiday!. Unlimited All extends the borders of the all-inclusive concept into an accommodation experience that offers unrestricted and unlimited privileges. 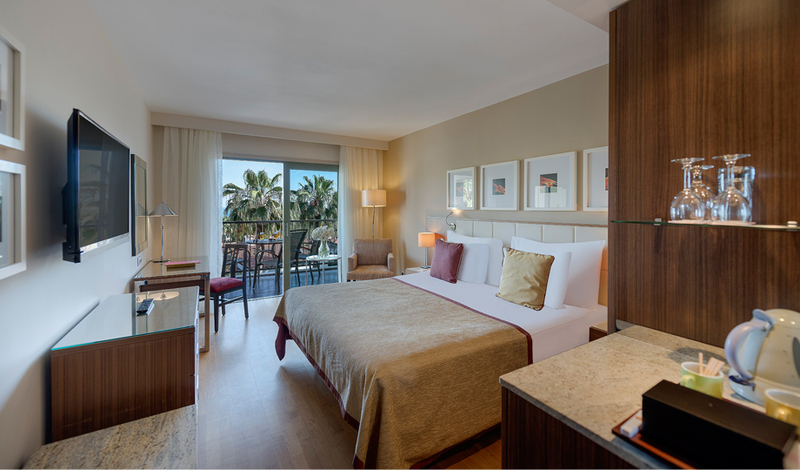 Let the Barut Standard become your new benchmark: personal care products in all the rooms; softer slippers and fluffier bathrobes; crisp cotton linens; cosier beds and pillow menus; adjustable air conditioning systems and double curtained windows. 33 m2 and The Superior Seaside Rooms or Superior Landview Rooms are located in the Main building. There are a shower, WC, Air-condition, telephone, Lcd TV, WIFI, hair-dryer, minibar, safety-box, laminate parquet flooring, a small sitting area and balcony in the Superior Rooms. Maximum occupancy 3 pax. 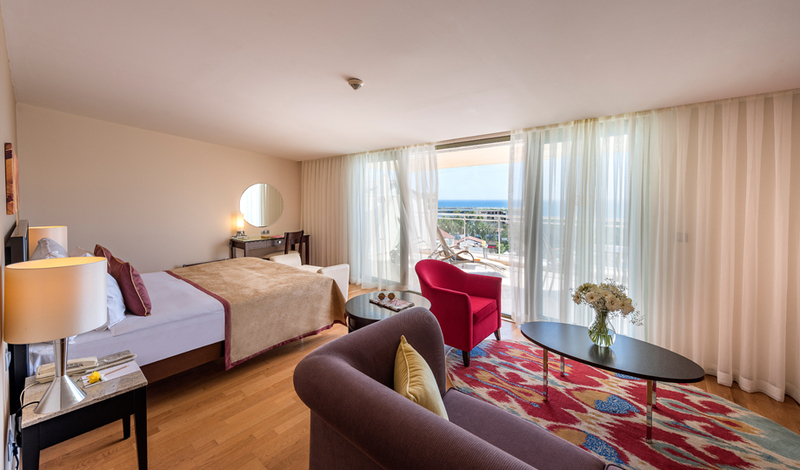 33 m2 and The Deluxe Direct Sea View Rooms are located in the Main building. There are a shower, WC, Air-condition, telephone, Lcd TV, WIFI, hair-dryer, minibar, safety-box, laminate parquet flooring, a small sitting area, balcony and Sea view in the Deluxe Direct Sea View Rooms. Maximum occupancy 3 pax. 45-50 m2, Corner Suite rooms are located in the Main building. There are a shower, WC, Air-condition, telephone, Lcd TV, WIFI, hair-dryer, minibar, safety-box,laminate parquet flooring, a small sitting area and balcony in the Corner Suite Rooms Seaside. There are two bedrooms and an interconnecting door seperates the bedrooms. Maximum occupancy 3 pax. 45-50 m2 and located in the Main building. There are a shower, WC, Air-condition, telephone, Lcd TV, WIFI, hair-dryer, minibar, safety-box, laminate parquet flooring, a small sitting area, balcony in the Suite Rooms. The balcony and room size are bigger than Superior room, and there is also a dressing room. Maximum occupancy 3 pax. 57 m2 and located on top floor in the Main building. There are a shower, WC, Air-condition, telephone, Lcd TV, WIFI, hair-dryer, minibar, safety-box, laminate parquet flooring, a small sitting area big balcony and Seaview in Penthouse Suite rooms. Maximum occupancy 2 pax. 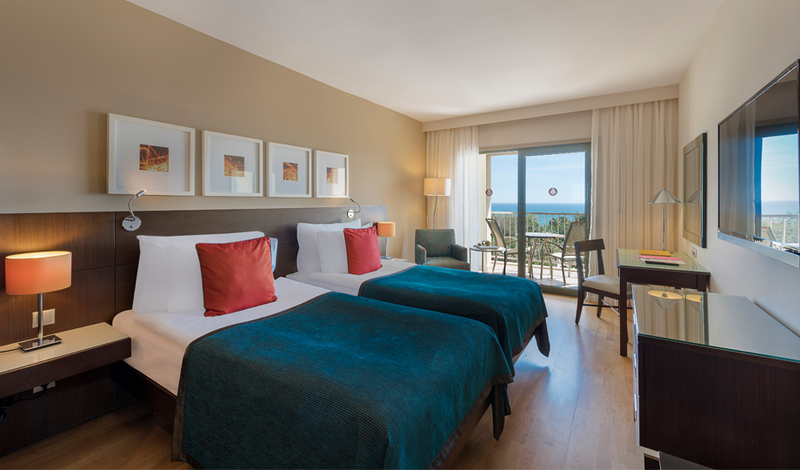 47 m2, Deluxe Family Seaside Rooms and Deluxe Family Gardenside Rooms are located in Anex building. There are a shower, WC, Air-condition, telephone, two Lcd TVs, WIFI, hair-dryer, minibar, safety-box, , laminate parquet flooring, balcony, small sitting area and two separate bedrooms. There are two single beds in one bedroom and a double bed in the second bedroom. Maximum. occupancy 4 pax. Barut’s powerful kitchen team is going beyond the limits for tastes that are even more distinctive and innovative! Transforming food into art, our team offers you more than a hundred dishes in the buffet of the main restaurant. The eating habits of our guests are important to us, and we pay attention to the personal preferences of our guests at Barut Arum. Pancakes and waffles are served hot from the griddle; salad buffets allow each guest to customize their own salad; and you select your preferred sauce for the delicious pastas we prepare. Lactose-free and gluten-free products ease holidays for guests with food intolerances, while vegetarian-friendly dishes provide different alternatives. At the Main Restaurant, we prepare hot dishes in front of our guests because transparency in the kitchen is important for us – and we want you to know how much we care about you. At Palmiye – the Arum main restaurant – traditional Turkish flavours, along with international dishes, are served in an open buffet. Main dishes, starters, soup, cakes, desserts and much much more are served to guests by our capable team. More than 100 different dishes are served in our restaurant, with a capacity of 750 diners. And our guests now enjoy even more flavours, with our new concept Unlimited All. Palmiye delivers exciting culinary experiences to our guests in both open-air and indoor dining areas, with eight different theme nights each month. The Bonsai Restaurant has more taste within the Unlimited All concept, so you’ll enjoy the unique atmosphere of Antalya even more from this eatery overlooking the sea. Offering a diverse menu, every diner will find dishes to their taste at the Bonsai Restaurant, including fish and meats, salads, pasta and pide. 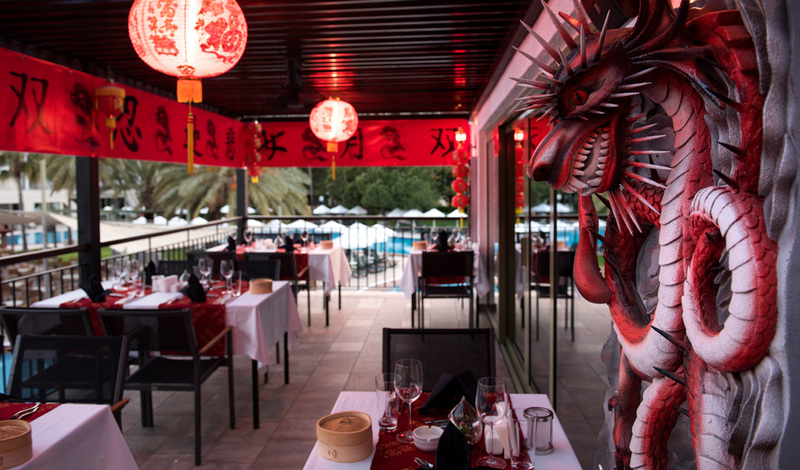 During the evening hours, the Bonsai offers alcoholic and non-alcoholic beverages, along with a festive vibe. You can even watch the nightly animations from the Bar, which has a view of the amphitheatre! A unique gastronomic awaits you at Petunya Restaurant, serving traditional dishes in Turkish cuisine à la carte. 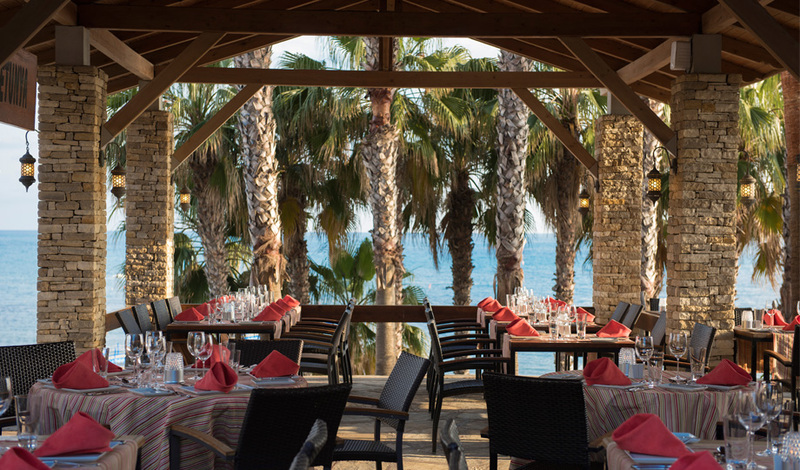 Discover the fascinating flavours of the master chefs and take in breath-taking Mediterranean views at the seafront Petunya Restaurant. 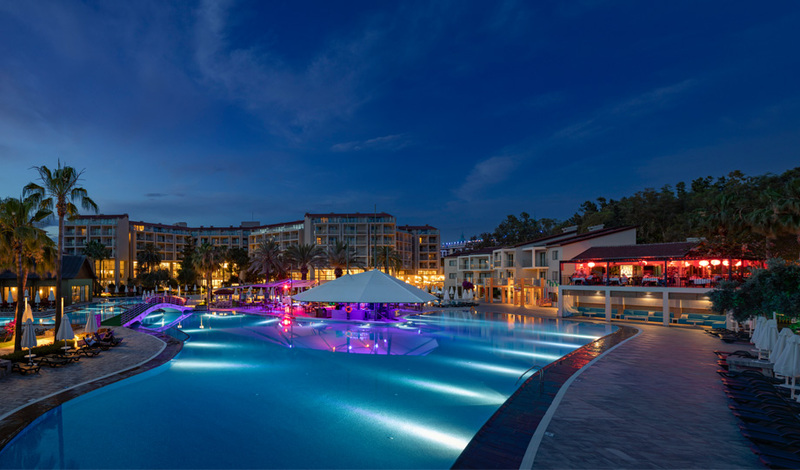 Within the Unlimited All concept, Barut Arum offers an unlimited à la carte experience. From kebabs to liver, from pide to baklava, unlimited Turkish tastes are at Petunya Restaurant. 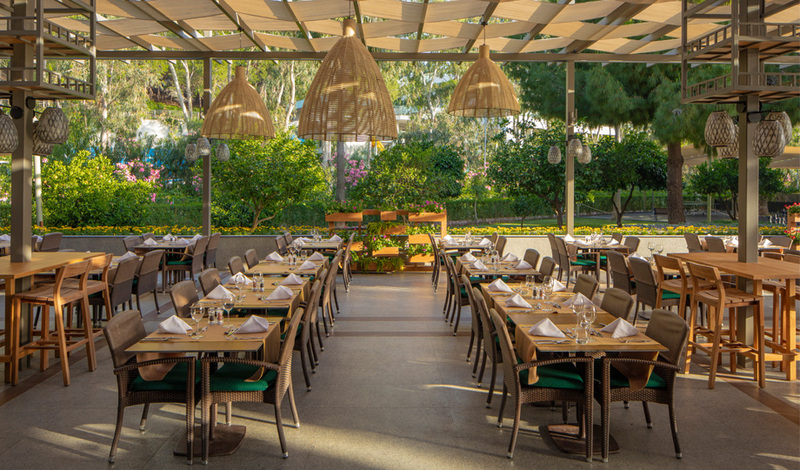 Overlooking the Barut Arum pool and offering world-class cuisine, dining at the Akasya Restaurant requires only a reservation within the Unlimited-all concept – and you may book throughout your stay. Our master chefs interpret the very best in meat and fish dishes from the Turkish, French and Italian traditions; meanwhile, a wide selection of wines will complement your dinner. Certain wines may be subject to a surcharge. We invite you to savour an unlimited taste experience within the Unlimited All concept – at an establishment offering the full spectrum of exciting Far Eastern flavours. Featuring both indoor and terrace dining, Mimoza Restaurant welcomes you to a delightful Mediterranean-style evening overlooking the pool. 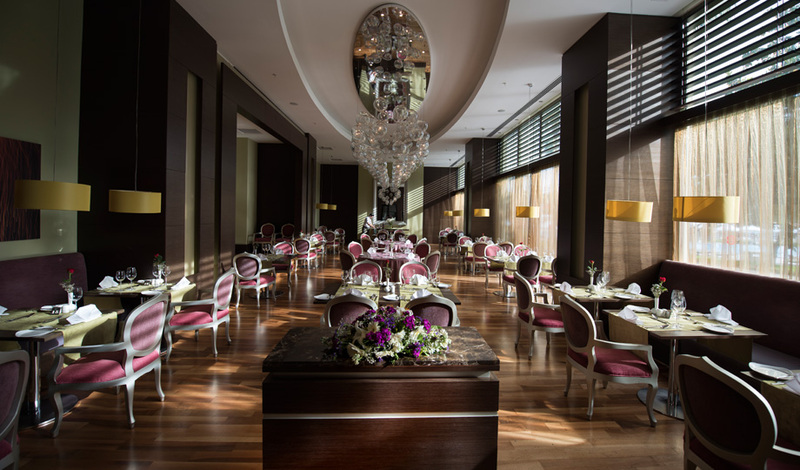 Top tastes from our master chefs await you in Mimoza. Unlimited experiences await you at the Lobby Bar, serving local and imported alcoholic and non-alcoholic beverages 7/24 ! We make sure that our guests enjoy even more personal space with expansive public areas. 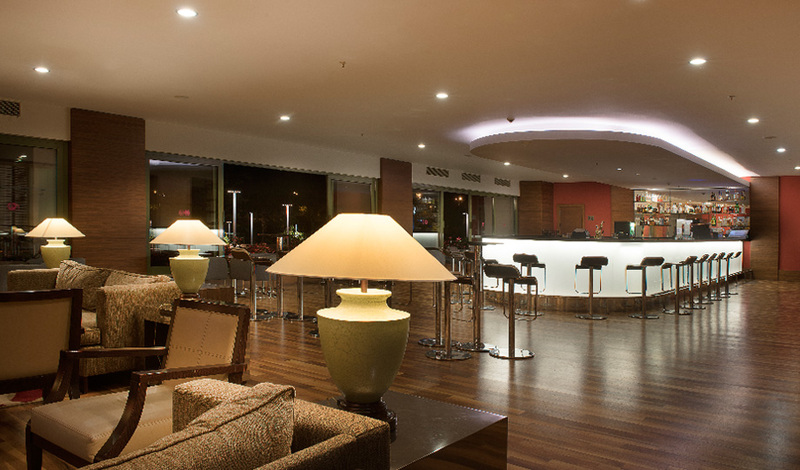 The Lobby Bar offers a pool table, backgammon and card games, as well as a quiet reading corner with a cosy library. At our seaside Begonya Beach Bar, the Unlimited All concept gets even better: local and imported alcoholic and non-alcoholic beverages served throughout the day, plus exciting interpretations from our master chefs of classic dishes such as gözleme. Try a gözleme prepared with cheese, meat or herbs – or even chocolate and cinnamon-sugar! Refresh and reenergize at the Barut Arum Blue Pool Bar! Offering local and imported alcoholic and non-alcoholic beverages throughout the day, the Blue Pool Bar also supplies cool tastes, colourful cocktails, and coffee drinks made from the highest quality coffee beans. Unlimited All with unlimited drinks service is at Barut Arum. 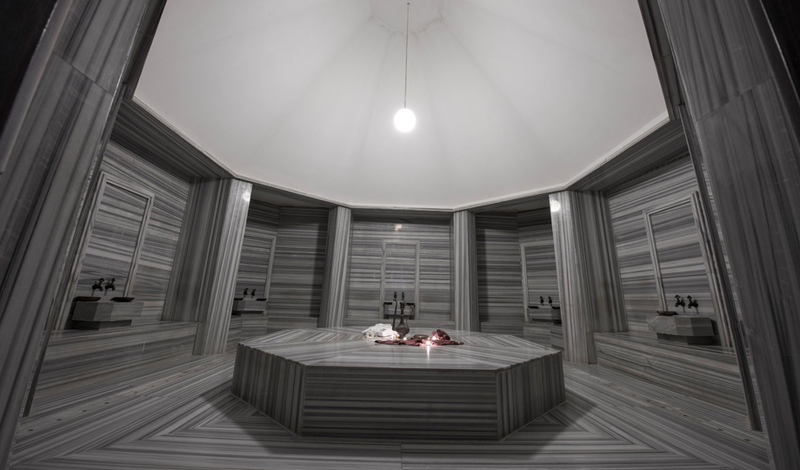 We invite our guests to the SPA Centre to experience the traditional Turkish Hammam. 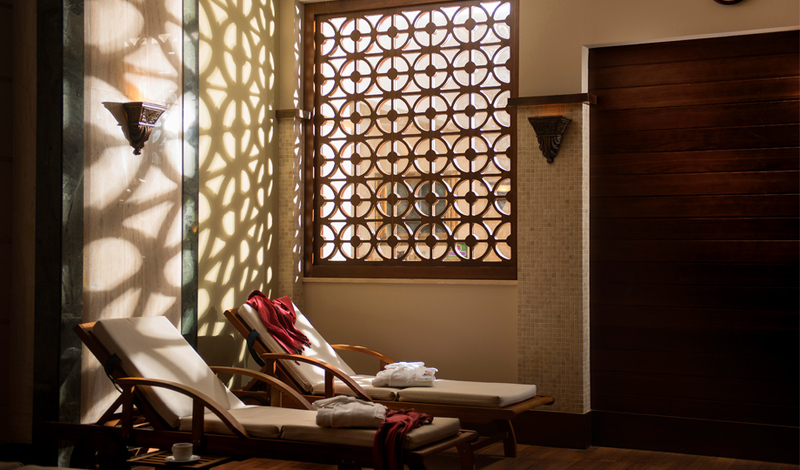 Probably the most traditional method – and perhaps the most beautiful as well – to purify your body is at Barut Arum! A massage is an enlightening experience where you will discover the power of touch, and relax as your body’s energy is restored to balance. Our massage therapy options include the most renowned techniques from around the world. A type of massage that affects much deeper regions through crossing surface muscle tissue with pressure applied to the body’s energy points, soft beats and tensing movements. This massage ensures a balance in all the energy centres of the body and integration throughout the entire system. Muscle tension is prevented, energy levels are raised, and an extraordinary relaxation is reached in both body and mind. You will immediately feel the effect of our facials, for which we use special products suites to the structure and need of your skin type. Your skin is renewed in line with your needs with special treatments and products customized to your skin type. 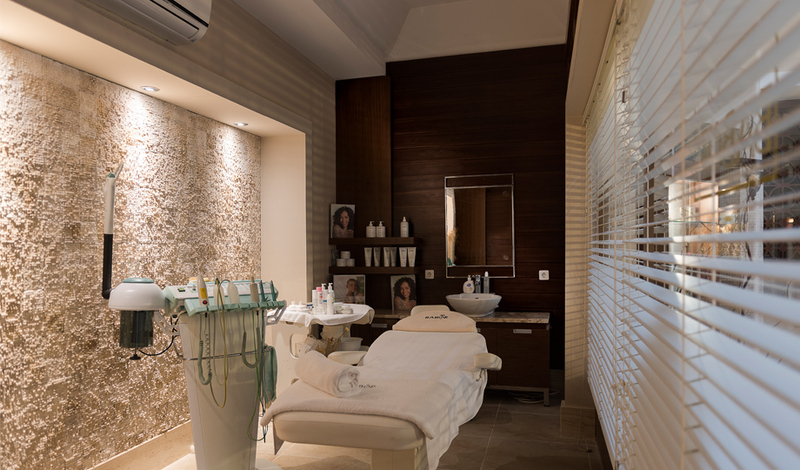 Exfoliation, and moisturising, balancing and detoxifying treatments, as well as thinning, firming and anti-cellulite treatments, ensure that your skin is revived by being rebuilt – for long-lasting effects. 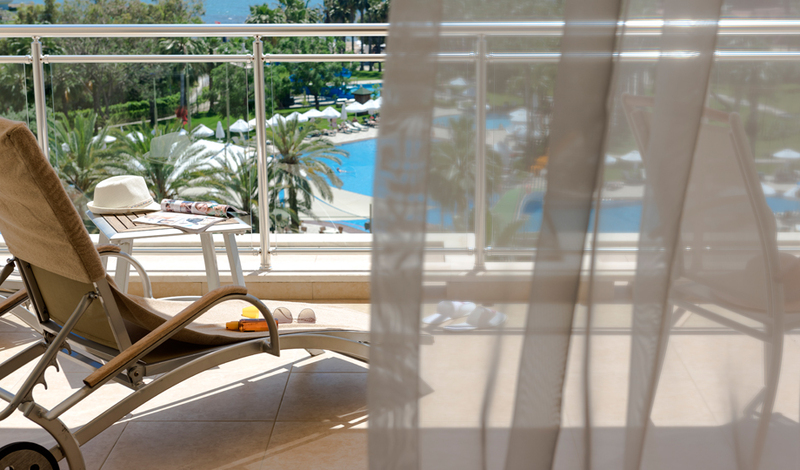 Barut Arum invites its guests to have an unforgettable holiday with international awards, an authentic architecture, unique natural environment of Side and its endemic structure, crystal blue Mediterranenan sea and private beaches.